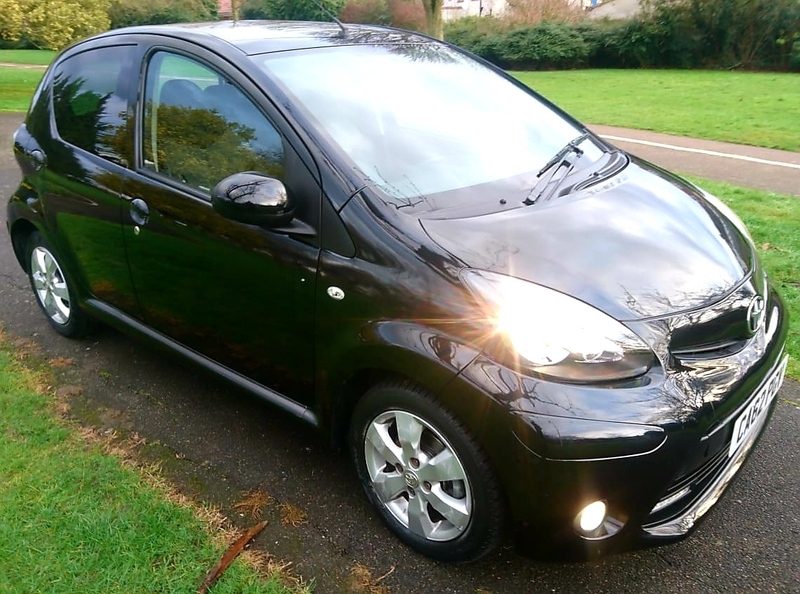 Toyota Aygo VVT-I FIRE MM AC 1.0 5dr, CAT D, 2013 (62 reg), Hatchback, 29,000 miles, Automatic, 998cc, Petrol. The car comes with Daytime Running Lights, Front Fog Lights, ISOFix Anchor Point, Speakers, Privacy/Tinted Glass, Cup Holders, Body Coloured Bumpers, Safety Belts Rear, Safety Belts, Radio, Electric Mirrors, Adjustable Steering, Side Impact Airbags, Front Airbags, Power Assisted Steering, Electric Windows, Central Locking, CD Player, Alloy Wheels, ABS. 4 seats, Black.